AUT University operates the Warkworth Radio Astronomical Observatory, north of Auckland. Formerly a Telecom satellite communications dish, ownership was transferred to AUT in 2010 who upgraded it for radio astronomy use. 'First light' was in July 2014. 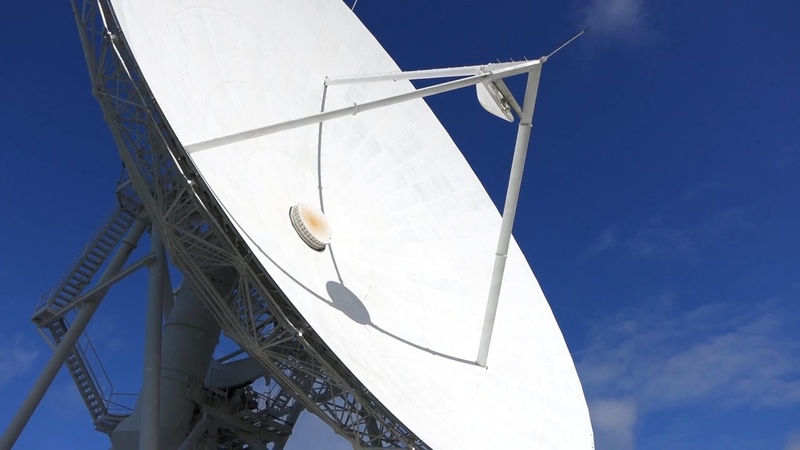 New Zealand now boasts one of the largest radio telescopes in the southern hemisphere linking it to a global network, CARLA PENMAN reports. The 30-metre telescope, based at the Warkworth Radio Astronomical Observatory north of Auckland, used to operate as a Telecom satellite dish until 2010. It is now owned by AUT University and was used for the first time on Friday. Dr Lewis Ball, the director of Sydney's CSIRO Astronomy and Space Science, says the telescope will boost New Zealand's role in linking with a global network of other radio telescopes. Dr Ball says it will enable scientists to better understand the Earth's tectonic plates, the formation of stars and the Milky Way's centre. "It has a very significant impact in increasing the capability of that network of telescopes that we use to do fundamental astronomy." Sergei Gulyaev, the founder and director of AUT's Institute for Radio Astronomy and Space Research, says the telescope will first be used as "a methanol machine" to study star formations. It will then be used to look at tectonic plates and this will be of particular use in earthquake-prone New Zealand, he believes. Professor Gulyaev says the telescope will also allow scientists and astronomers to see finer details of objects than ever before.